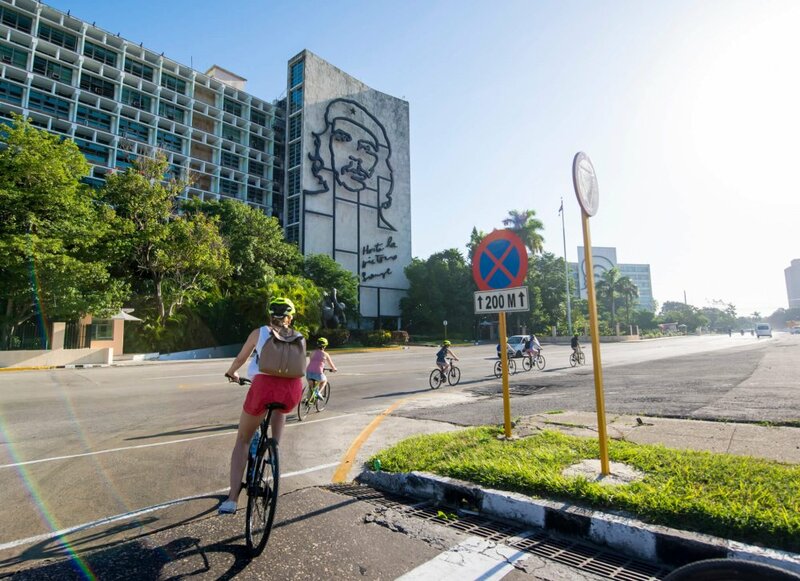 After breakfast we’re straight into the saddle and headed out west, swapping the hustle and bustle of Havana for the calmer climes of Pinar del Rio Province. We start out early this morning and wind our way through Las Terrazas’ hilly landscape. After breakfast in our casas we hop on our bikes and head westward, following farm roads that just skim the edge of the Parque de Viñales, eventually bringing us to Santa Maria on Pinar del Rio’s western coast. After breakfast we saddle up and head out on a circular route around Viñales. 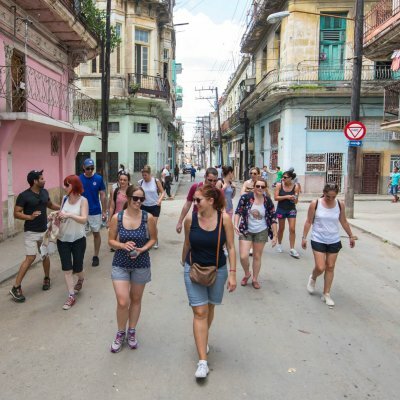 Why not explore Old Havana on foot and do some people watching, it is full of colonial charm and the streets are buzzing with activity. Meals: all breakfasts, 5 lunches and 2 dinners. Lunches will be in restaurants or picnics depending on the day. Most of the hotels we use are 3 star with en suite bathrooms and air conditioning. We will use Casas Particulares in Viñales and on your return to Havana. Most people love the opportunity this gives to stay in a relatively normal Cuban home and see how Cubans live. These homes are simple compared to ours but the welcome is warm and rooms clean. All the casas also have air conditioning an en suite bathrooms. You’ll be spoilt at breakfast in the mornings. A Cubania representative will meet you upon arrival in Havana before transferring to the start Hotel. Welcome to Cuba! The largest island in the Caribbean, Hemingway’s much-loved abode and one of the last planned economies in the world. You’re soon to discover that Cuba is all that and much, much more, but first sit back, relax and enjoy your first night in enchanting Havana. us we veer left down the regal Prado promenade, a favourite with street artists and skateboarders alike. 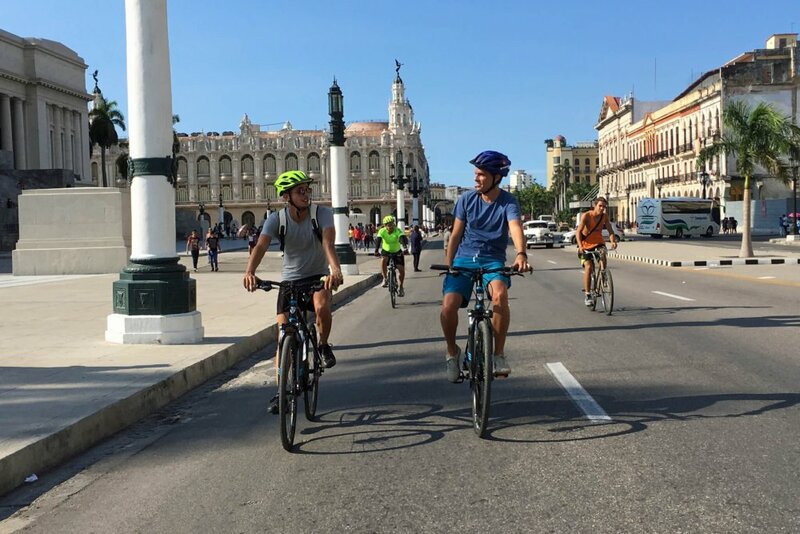 At the end of Prado we’ll turn right and pass Havana’s old train station (now an indoor market) as well as the ruins of the old city walls before ending the cycling portion of our tour in Plaza de las Armas. 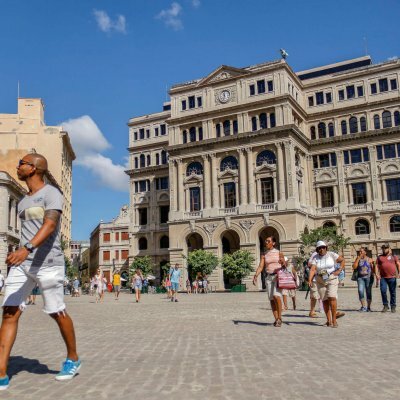 From here we continue on foot to discover Old Havana’s four beautifully renovated colonial plazas and stop for lunch in a local restaurant. 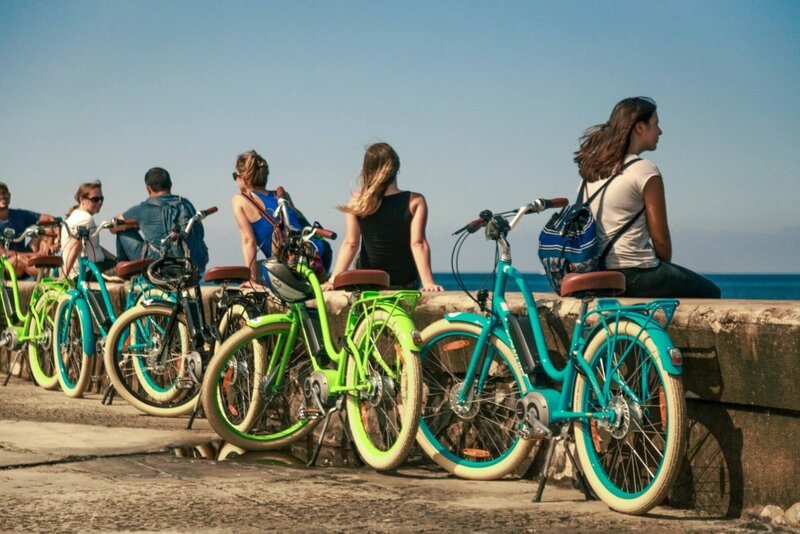 After lunch, we cycle back to our hotel along Havana’s romantic Malecon, a sea-wall that follows the city’s entire coastline. Enjoy this evening at leisure. After breakfast we’re straight into the saddle and headed out west, swapping the hustle and bustle of Havana for the calmer climes of Pinar del Rio Province. We stick to the coast before turning inland at the small sea- side town of Mariel and following winding backroads (watch out for the fairly frequent potholes!) towards the Sierra del Rosario Mountain range. These impressive mountains form part of the Guamuhaya range, which stretches across the Western part of Cuba and provides the spectacular tropical scenery for the next few days. After stopping at a scenic spot for a picnic, we continue to the “Las Terrazas” Biosphere Reserve. 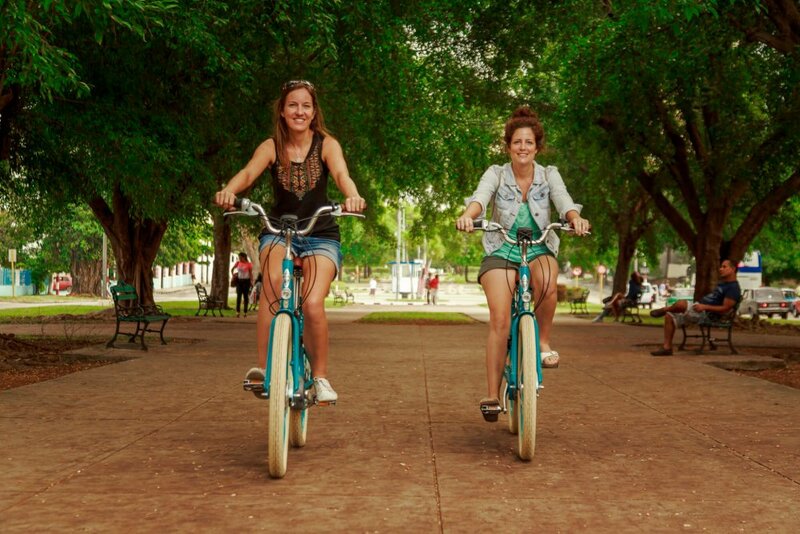 Upon arrival you can cycle a further 8km to our hotel or head straight to the Rio San Juan for a refreshing dip. Enjoy an evening at leisure in this beautiful Biosphere Reserve. We start out early this morning and wind our way through Las Terrazas’ hilly landscape. Around 20km into our ride we exit the Biosphere’s and continue uphill to join a skyline road through the Guaniguanico hills. 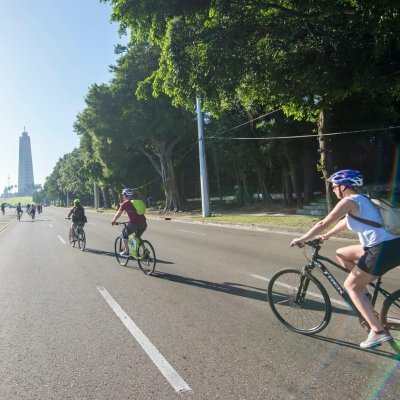 Though today is our most challenging cycle, the mountain trail affords spectacular views across the island and on a clear day it’s even possible to see both Cuba’s northern and southern coastlines. We’ll picnic en route. 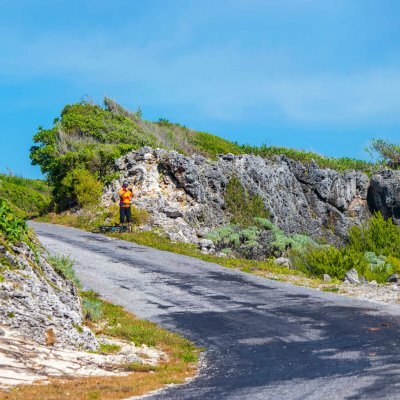 Once we descend from the Skyline road we’ll join the main Havana-Pinar del Rio highway where traffic will be light but varied – expect to share the road with vintage American cars, oxen and horses! Our ride will end in San Diego de los Baños where well enjoy a well-deserved drink before taking a 1.5-hour transfer to Viñales, where more luscious scenery awaits. Tonight we’ll be staying in local casa particulares, where your hosts will prepare you a delicious home-cooked dinner. 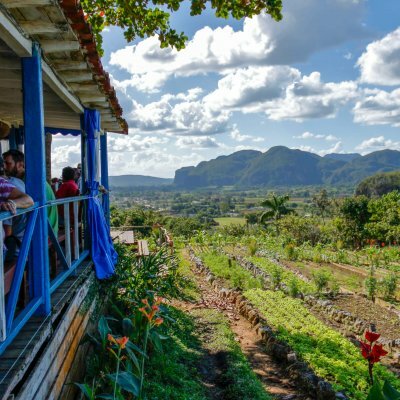 Despite being a quiet country retreat, Viñales has several ven- ues with live music so if you wander out tonight you’re sure to find somewhere to tap your feet. 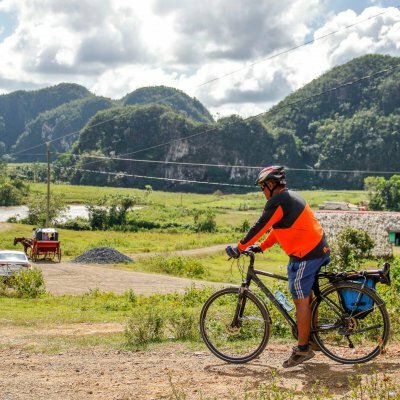 After breakfast in our casas we hop on our bikes and head westward, following farm roads that just skim the edge of the Parque de Viñales, eventually bringing us to Santa Maria on Pinar del Rio’s western coast. Though this rural route offers poor road conditions, the relative flatness will be sweet relief after yesterday’s undula- tions. Once we reach the coast we’ll be following a causeway over a collection of islets to picture-perfect Cayo Jutías: a 3km-long white sand beach with idyllic turquoise water. Lie back on the sand, bask in the in- viting shallows, or discover the cayo’s underwater life on a snorkelling or scuba diving trip (not included and subject to availability). 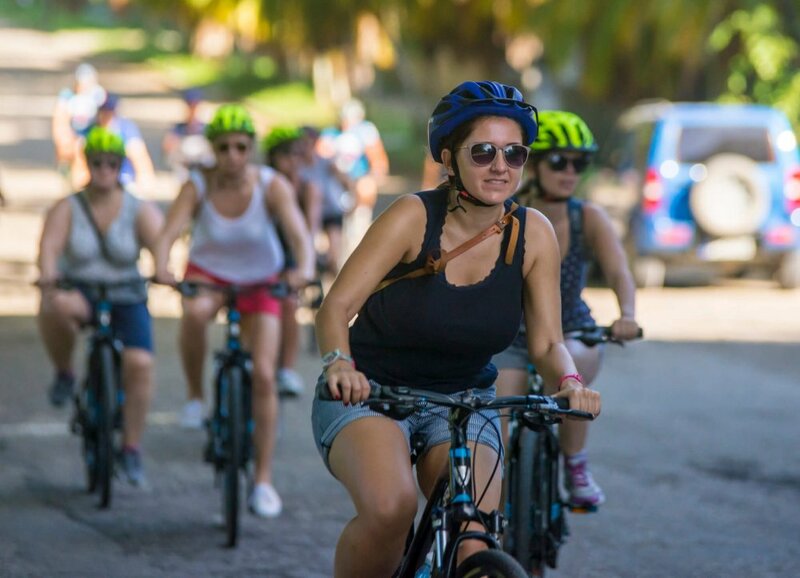 We’ll lunch on the beach and then you’ll have the option of cycling back to Viñales via a different route or soaking in more of Cayo Jutías’ delights before transferring back to Viñales for the night. Tonight we’ll enjoy a sunset meal at Finca Wilfredo, an organic farm that uses its own produce to cook delicious Creole food. After breakfast we saddle up and head out on a circular route around Viñales. The valley’s Jurassic landscape is one of Cuba’s finest and it’s not hard to see why it’s a UNESCO World Heritage Site. It’s also a key player in two of Cuba’s major industries: tourism and tobacco. 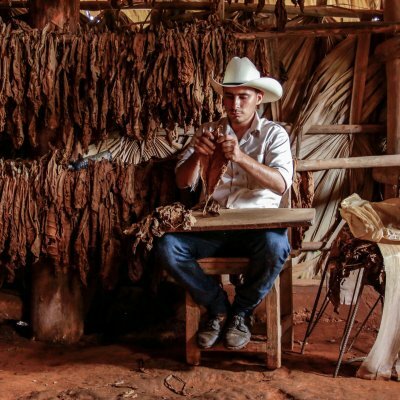 Viñales is home to Cuba’s (and possibly the world’s) best tobacco and we’ll stop at a farm to learn a little about the Tobacco-growing process. Towering around the farm you’ll notice mogotes, strange rounded mountains that seem to bubble out of the valley floor, creating Viñales’ unique and spectacularly lush landscape. After a scenic picnic lunch we will transfer back to Havana and check in to casas particulares in the heart of the city. 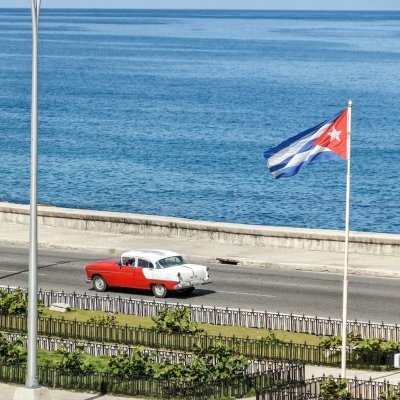 Today you have a free day in Havana. Why not explore Old Havana on foot and do some people watching, it is full of colonial charm and the streets are buzzing with activity. Walk up the famous malecon coastal road and visits the garden at El Nacional in Vedado district. 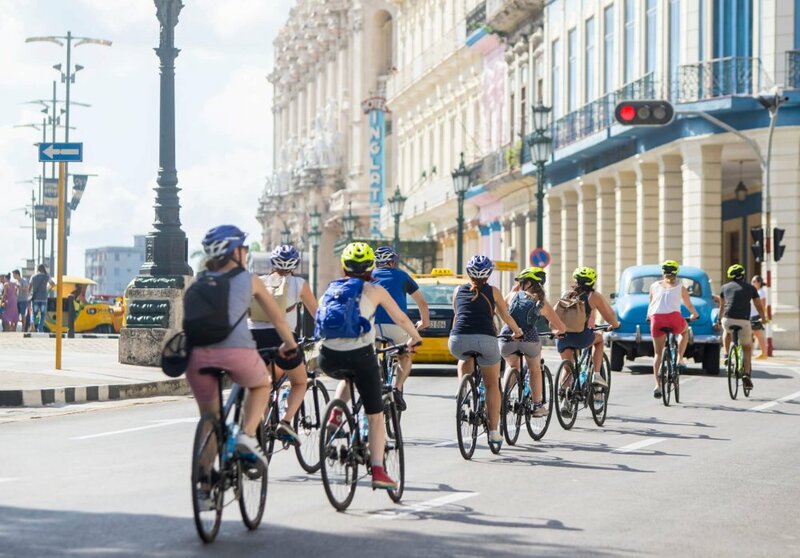 If you’re worn out from the last 2 weeks of cycling, why not relax by the hotel pool and then mooch out later this evening to enjoy some of Havana’s world-famous live music dance venues or cabaret shows. 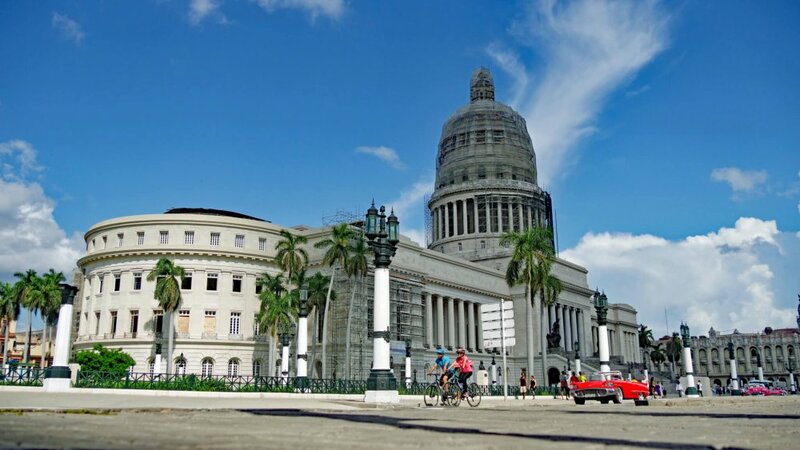 Check out the Cubania Travel What to do in Havana guide for recommendations. You are used to exercising, have a good level of fitness and enjoy being active. You keep in good shape and like to push yourself. 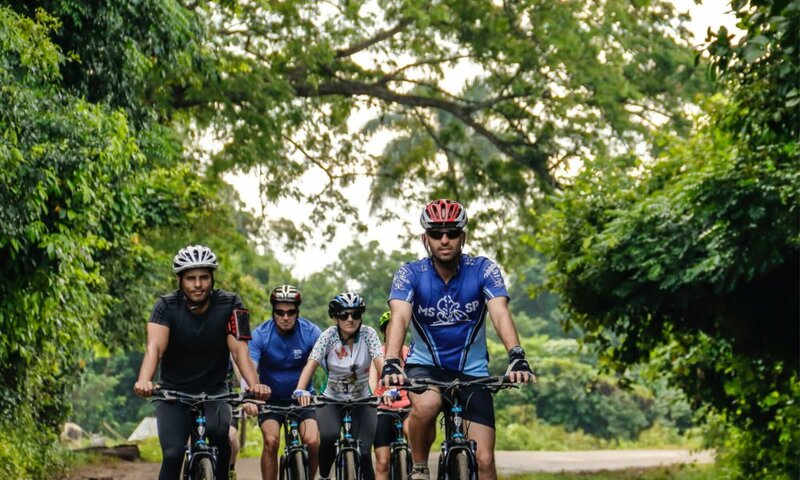 During the tour your focus is on cycling through beautiful and challenging scenery.